I have been sucked into a vortex of 70s entertainment - a heady world of sparkle and spandex, glitter and glam, chintz and cheese. 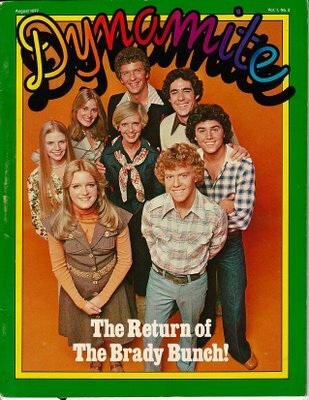 I have just returned from the Brady Bunch Variety Hour. The reason for this is 'Fake Jan'. Today I came across a funny web ad for the Fake Jan Festival on the Brady World site. 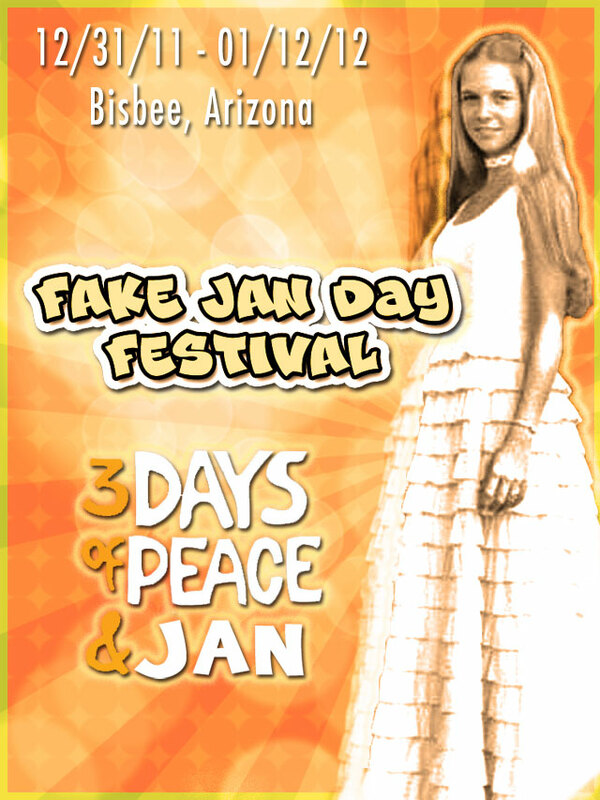 Curious, I clicked and found out that there is actually a 'Fake Jan Day'. It was declared on Jan the 2nd (get it?) a couple of years ago and seems to be increasing in popularity. For those not in the know, after The Brady Bunch finished in 1974, it was revived a couple years later as a musical 'variety hour'. Eve Plumb did not wish to appear and Geri Reischl replaced her when the show launched in October of 1976 - she was to become known as 'Fake Jan'. Fake Jan with her sisters Marcia and Cindy. Geri seems to have accepted this and taken it all in good humour. You can find guidelines for observing Fake Jan Day on her website, which were interestingly written by Susan Olsen (aka Cindy Brady). This year, there will be a three day festival (beginning New Year's Eve and ending 2nd January) to celebrate all that is Fake Jan. I particularly like the nod to Woodstock on the Festival poster - 3 Days of Peace & Jan - it made me giggle. Thanks for the heads up! I have a friend that will LOVE THIS.